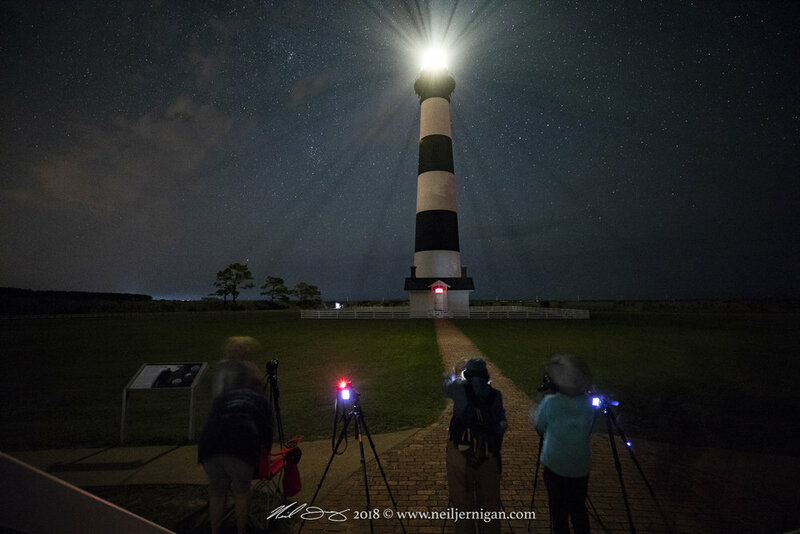 A couple weeks back I led a lighthouses at night workshop. We started out at Cape Hatteras. 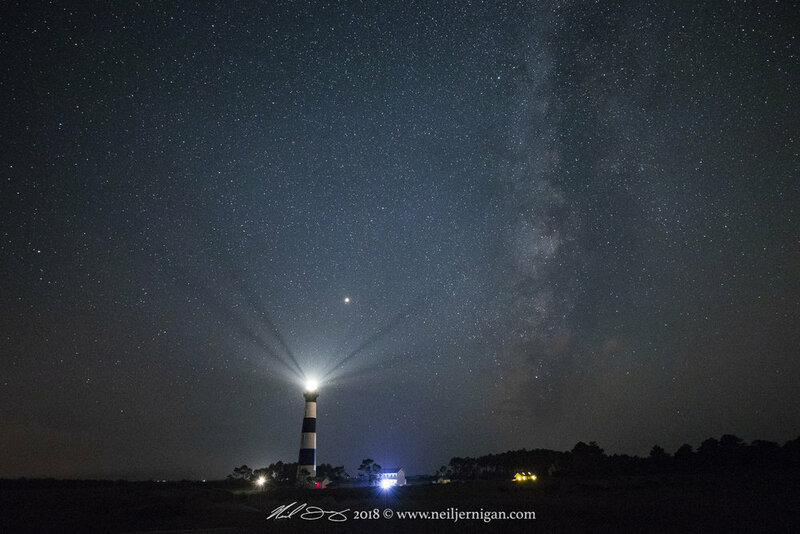 We watched and photographed the milky way as it slowly moved across the sky. The night was clear and absolutely perfect, other than the millions of mosquitoes. We had a great group of eager learners and by the end of the night everyone was creating some beautiful images! I didn't photograph much but I was able to create a few images. Oh! 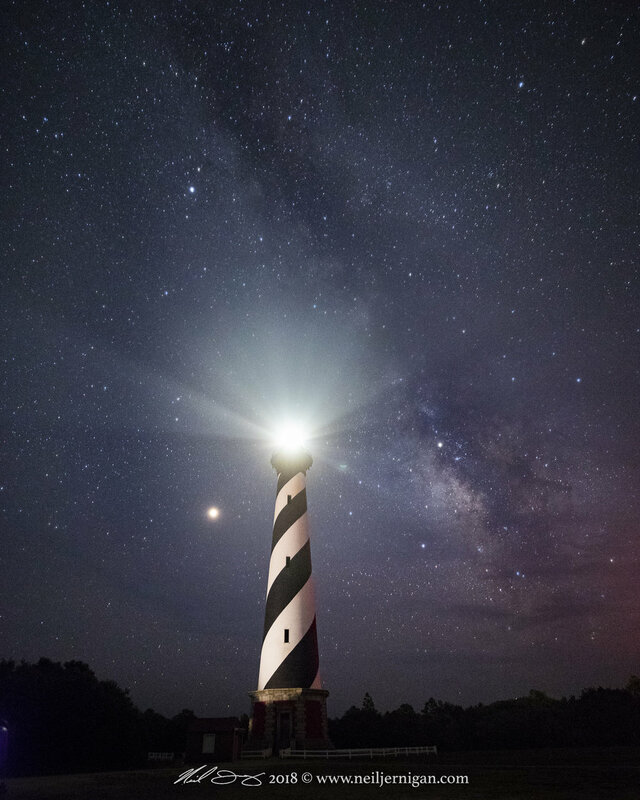 Notice just to the left of Cape Hatteras, a really bight star. Mars was shinning bright that night! It was beautiful. 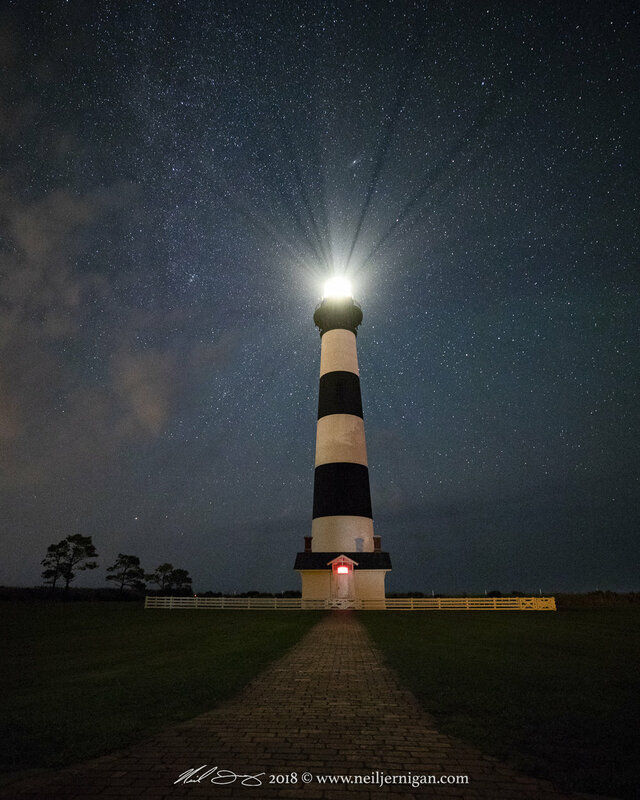 Once we finished at Cape Hatteras we made the hour drive north to Bodie Island Lighthouse. The milky way had moved quite a bit so we weren't able to capture the core. Again it was a beautiful evening for photography and a good time was had by all. 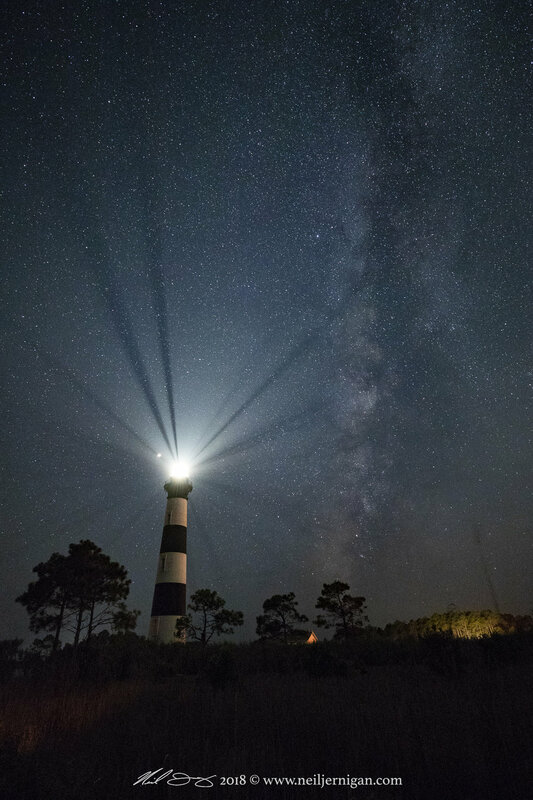 I will be announcing my 2019 lighthouse workshop dates in the coming weeks. I hope you can tag along!